Tomorrows Bad Seeds are currently on The Warped Tour but that does not mean the band hasnt already lined up dates for post Warped Tour. 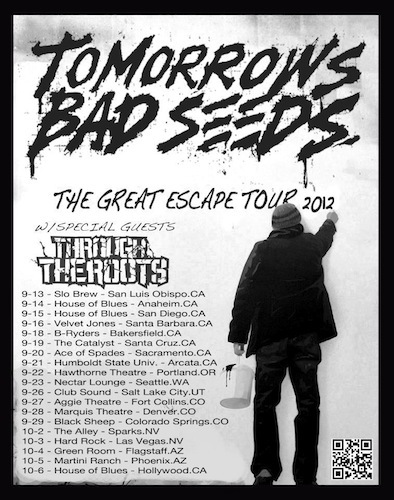 The Great Excape Tour will be the name for their new headlining tour and will feature Through The Roots. The tour is only for you West Coasters and starts September 13 in San Luis Obispo, CA and ends October 6th in Hollywood, CA. A full list of dates that include OR, WA, UT, CO NV, and AZ can be seen on the above poster or below.